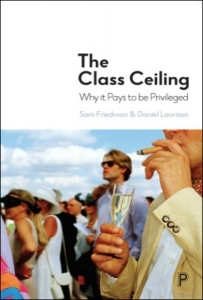 In The Class Ceiling: Why it Pays to be Privileged, Sam Friedman and Daniel Laurison offer a unique and encapsulating analysis of class inequality at the top end of the UK labour market. The book is not only compulsory reading for anybody who still believes that the UK is a meritocracy, writes Liam Kennedy, but its mixed-methods approach allows for important, nuanced and often overlooked aspects of social mobility to be understood. If you are interested in this review, The Class Ceiling is being launched at the LSE on Monday 28 January 2019 in a free public event. Find out more here. 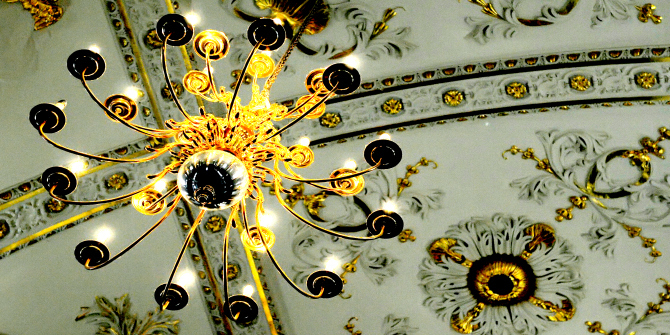 The Class Ceiling: Why It Pays to be Privileged. Sam Friedman and Daniel Laurison. Bristol University Press. 2019. It is a brand new year, ‘Resolution’ and its Dalek has come and gone, and we are now in for at least a year of waiting before we get any new Doctor Who television adventures…so what is a Whovian to do? While I have seriously considered just being sad and yelling at people on the internet, there are much better ways to spend my television watching time over the next year. In order to save you from a similar fate, I have put together (with a little help from my Bleeding Cool friends) an incredibly long and not at all comprehensive list of shows (with random clips) to watch (or listen to) to fill that TARDIS-shaped hole in our hearts. DC’s Legends of Tomorrow – An attractive band of young heroes travels through time to save the Earth at vital moments throughout history. The show has an outlandish thread of ridiculousness about it that the showrunners fully embrace. Added bonus for Who fans: Arthur Darvill as Rip Hunter and the occasional Doctor Who reference. Available on Netflix. Quantum Leap – Heaven Can Wait crossed with Doctor Who, Quantum Leap follows the adventures of physicist Dr. Sam Beckett (Scott Bakula) as he jumps from body to body throughout his own lifetime. Unlike Who, Beckett takes the place (and the body) of a person in another time and attempts to fix whatever problem that individual is facing. Available on Hulu. Titan Comics: An excellent way to go on more adventures with your favorite Doctor. Titan currently has 197 Doctor Who titles in its collection, ranging from Classic to New Doctor Who Doctors. You can even go on additional adventures with the Thirteenth Doctor, as the third issue of Doctor Who: The Thirteenth Doctor was released on January 2, 2019. As broken by Bleeding Cool at San Diego Comic-Con 2018, the 13th Doctor’s series will be written, drawn, inked, and edited by women. The post Doctor Who Series 12 Hiatus Hijinks: What to Watch While We Wait…And Wait appeared first on Bleeding Cool News And Rumors. In the week before Christmas, the Secretary of State for housing claimed that the sky rocketing levels of homelessness were down to social issues and had nothing to do with the government’s housing policy. Then just a few days later George Osborne added his pennorth dismissing outright the link between his punitive austerity programme and Britain’s homelessness crisis saying, ‘It’s not a lack of money – that’s not a consequence of austerity – that’s just a consequence of bad policy”. When interviewed on BBC Radio 4’s Today programme he went on to argue that poverty would have been worse without austerity. He suggested that when the Tories had come to power in 2010 the country was close to bankruptcy and that the public spending cuts were necessary to get the country back on its feet. Within these words lie two dishonest and harmful narratives which have pervaded the public consciousness for decades and form the basis for people’s understanding of the world they inhabit. They have set us on the road to a divided and unequal society. Firstly, the ideological narrative that competition defines the human race, and thus the individual is responsible for his or her own fortune. It applies the biological evolutionary language of Darwin to the functioning of the economy and society. It posits that the State has no role to play in delivering public purpose and well- being and that it should not interfere in what is conceived to be a natural process of the survival of the fittest whereby the most motivated, strongest and powerful win. It rejects outright the concept of mutual aid and cooperation as being fundamental to human and planetary thriving. The political elites and the Fourth Estate have consistently demonised poor people, the sick and those with disabilities by the use of inflammatory language to create division both across and within the social classes. The constant reference by politicians and journalists to strivers and hard-working families is an example. Or the provocative words of George Osborne who said “Where is the fairness, we ask, for the shift-worker, leaving home in the dark hours of the early morning, who looks up at the closed blinds of their next-door neighbour sleeping off a life on benefits.” Such images perpetuate hate, encourage violence, justify selfishness and a sense of entitlement as well drive the notion that personal fulfilment trumps the interests of the collective. Secondly, the narrative that austerity was necessary to get the government’s accounts back into balance and that its role was to be fiscally responsible so as to not burden future generations with debt. In 2010 and following George Osborne’s spending review Will Hutton noted that ‘Never before has a country with such a large economy, carrying so much private debt, taken the experience of near financial collapse to squeeze its budget with such severity and speed”. The tried and tested Keynsian economics of fiscal spending were abandoned in a frenzy of cuts to public services, local government and welfare. The notion that the state money system was one great big household budget was invoked by deficit hawk economists and politicians alike and reference made to Liam Byrne’s note left in the Treasury that there was no money left. Repeated allusions were made to paying down the state credit cards, taking the nation back from bankruptcy and the wisdom of living within one’s means. George Osborne’s cuts drove deep cutting £81bn from government spending on the NHS, welfare, higher education, social housing, policing and local government to lead to the loss of over 500,000 jobs. He vowed to restore ‘sanity to our public finances and stability to our economy’. Using these false analogies, the Conservatives were able to justify their cuts to public services, the selling off of public assets and privatisation of public services, the paring down of the welfare state to bare bones to kick away the foundation stones of civil society. Not for any financial imperative but because they made a political choice to do so. Contrary to George Osborne’s claim that austerity was vital for the health of the economy the consequences have proved calamitous. Every day the evidence piles up from overstretched hospitals, failing social care, crumbling infrastructure, the tragic personal stories of those affected by changes to benefits which have led to suffering and death, increased homelessness and death on the streets of Britain, hunger and the growth of food banks, closures of high street shops and a deteriorating economy. And yet, every day, government ministers shamelessly deny responsibility for the harm they are causing claiming that their policies are successful and defending their economic record. People are not suffering and dying because of their own personal failings they are dying as victims of an ideology which has promoted austerity as a financial necessity when, in fact, it is the worst prescription of all. Umair Haque describes it as a force that is ripping the world apart, slashing through democracy, the future and society reducing the planet to a smoking wreck. George Osborne boasted that austerity was necessary to save the economy by driving down deficits and the ‘national debt’ (never mind the fact it is our savings or that the government as the currency issuer can always settle its pound denominated liabilities). This deliberate deception disguised its real purpose which was always about demolishing public services to shift the public narrative to acceptance of privatisation. In this respect, it was shameful that Manchester University appointed the architect of Tory austerity as an Honorary Professor of Economics. In so doing it thoroughly insults all those who have suffered as a result of his unnecessary and harmful economic policies as well as discredits even further those subscribing to economic orthodoxy within the teaching profession. Its decision to legitimise a man who has caused so much pain and suffering should have been called into question. Such servile behaviour in a seat of supposed learning was distasteful and has proved to be an odious appointment as his austerity chickens come home to roost. It’s now time for the people to contest the lies and the cruel deception practised by ideologically driven politicians. Firstly, by recognising that nothing is set in stone and that there is an alternative to austerity. Secondly, by opening our eyes to the painful realities of cuts to public services and social security whereby people are suffering and dying as a result. And thirdly, by getting to grips with how money works and the currency issuing nature of sovereign governments. Governments which need neither to tax nor to borrow to spend and whose limitations are not money but the real resources available to it to deliver its policies. The truth is that government spending into the economy injects money into the purses and bank accounts of public sector workers who then take their earnings and spend them directly into the real economy, pay down their debts or save. In fact, a healthy economy depends on people spending, it depends on sales of goods and services. To give an example every £1 spent by government on the NHS will generate around £4.30 of spending as wages circulate around the economy. By cutting public spending, austerity has had the reverse effect which has led to soaring of unsustainable private debt and a downward economic spiral for all but the rich. Once we grasp the essential truths of monetary realities we will be able to see the wood for the trees and recognise that the role of government is not to balance the budget but to balance the economy. Only in this way can we create a fairer, equitable and more sustainable world. The post “Austerity is theft, the greatest transfer of wealth from poor to the rich since the enclosures.” appeared first on The Gower Initiative for Modern Money Studies.